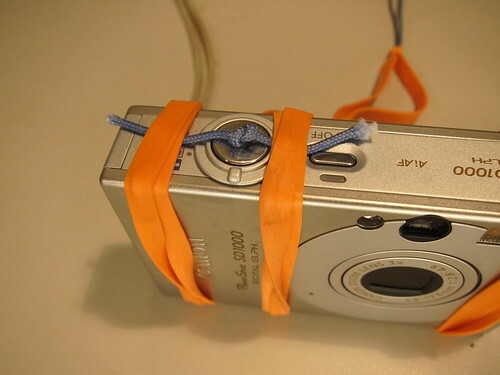 Instead of using a balled up piece of tape, a pebble, or some other thing to hold down my camera's shutter, I've gone to using a knot. This makes it easy to hold in place, and makes setting it easier. I prefer a rubber band, but tape also holds it down. 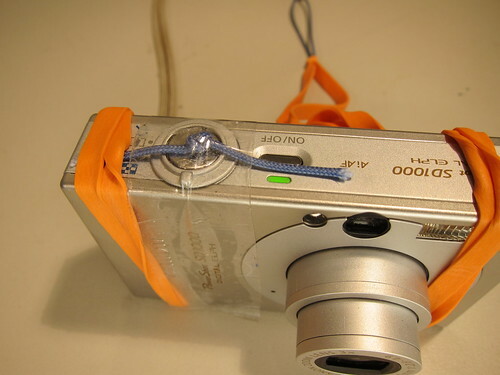 tape may be more useful for bulging, non rectangular cameras. 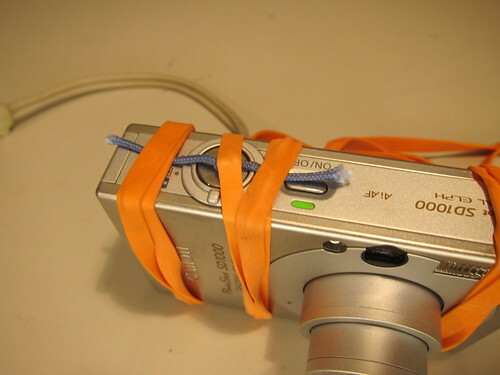 Hi, Mathew, mind if I retitle this "Use a rubber band and knotted string to trigger a camera"?